then taught at Harvard and Johns Hopkins before coming to Penn in 1987. He works in the history of modern philosophy, the philosophy of psychology, theories of vision, and the philosophy of science. 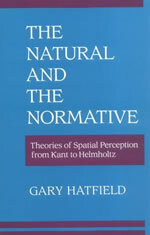 In 1990, he published The Natural and the Normative: Theories of Spatial Perception from Kant to Helmholtz; at HOPOS 2016, the 25th anniversary of the book was celebrated. 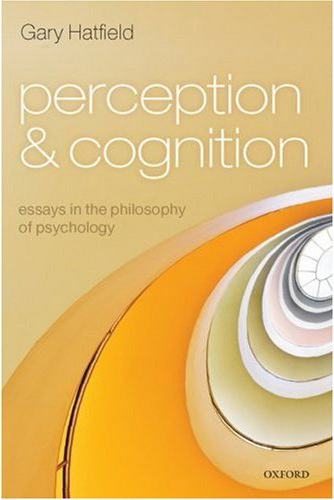 In 2009, Perception and Cognition: Essays in the Philosophy of Psychology appeared from the Clarendon Press; a revised version of his book on Descartes' Meditations appeared in 2014. 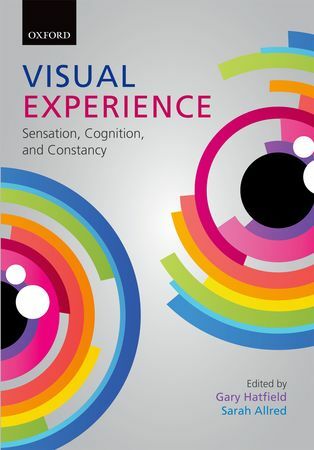 In 2012, an edited volume (co-edited with the psychologist Sarah Allred) arising from an IRCS workshop on the constancies was published by Oxford: Visual Experience. 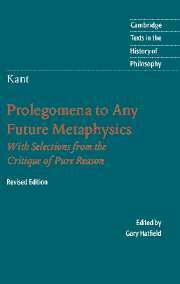 The revised edition of his translation of Kant's Prolegomena to Any Future Metaphysics appeared in 2004. 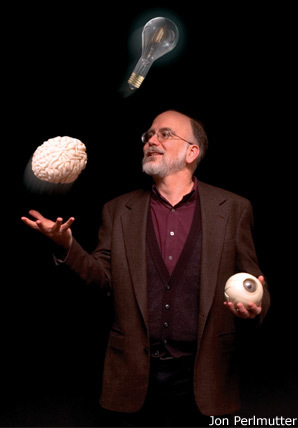 He is affiliated with the Center for Cognitive Neuroscience and the Penn Center for Neuroaesthetics, as well as the Visual Studies Program. He has directed dissertations in history of philosophy, philosophy of psychology, and philosophy and history of science, and has advised several postdocs in these fields. 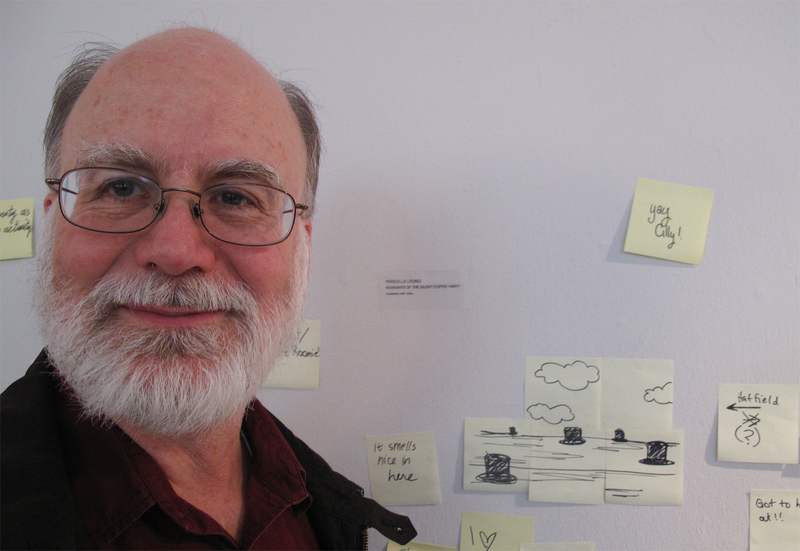 He has long been fascinated by visual perception and the mind–body problem. For further information, consult Curriculum Vitae (selected [html] or full [pdf]) and research statement. Office Hours for Spring, 2019 (Cohen 422): Tues, 1-2pm; Thurs, 12-1pm, & by apptmt. The course is divided into three units. The first is color perception, which is a microcosm of issues. We will consider color phenomenology, evolution, epistemology, and metaphysics. What is color? How do we perceive it? How do we experience it? The second unit concerns theories of spatial perception, object perception, and perceptual realisms. We will start from theories of perception in psychology and cognitive science, and then move into question of phenomenology, perceptual constancy, and the implications for perceptual realisms. The third unit concerns how visual scenes are experienced by means of images and it assesses the representational relation between images and things imaged, including linear perspective and its status as arbitrary convention or optically and naturally based system. Readings from authors such as David Hilbert, Stephen Palmer, James Gibson, Bertrand Russell, John Searle, Nelson Goodman, and Richard Wollheim. Satisfies GenEd IV (Humanities and Social Sciences) or VII (Natural Science and Mathematics). About VLST 101. We will examine various instances of appealing to appearances in analyzing perception and its relation to an external world. Authors to be studied include Descartes, Hume, Russell, Sellars, and Chisholm. Review of John Bickle (ed. ), The Oxford Handbook of Philosophy and Neuroscience, Oxford UP, 2009, in Notre Dame Philosophical Reviews. Descartes, in Stanford Encyclopedia of Philosophy. Helmholtz and Philosophy: Science, Perception, and Metaphysics, with Variations on Some Fichtean Themes. The Journal for the History of Analytical Philosophy 6.3 (2018). Talk in Edinburgh, "Gibson and Gestalt: Representation (Presentation) and Constrution." Professor Gary Hatfield (Penn) speaks at the event "The World in Us: Gestalt Structure, Phenomenology and Embodied Cognition", 9th July 2017. Gary Hatfield (Penn) addresses the question: "Phenomenally Converging Railway Tracks: A Misperception?" at a conference entitled The Philosophy and Psychology of Visual Space: An Interdisciplinary Workshop, Ohio State University, Feb. 2019. Philosophy of Perception and the Phenomenology of Visual Space, Philosophic Exchange 42 (2011), 31–66. Key words: critical direct realism, direct realism, disjunctivism, geometry of visual space, naive realism, perceptual constancy, representative realism. Transparency of Mind: The Contributions of Descartes, Leibniz, and Berkeley to the Genesis of the Modern Subject, in Departure for Modern Europe: A Handbook of Early Modern Philosophy (1400-1700) , ed. by Hubertus Busche (Hamburg: Felix Meiner Verlag, 2011), 361–75. Key words: Modern subject, Cartesian theory of mind, transparency of consciousness, Descartes, Leibniz, Berkeley, Putnam, Rorty. The Reality of Qualia, Erkenntnis 66 (2007), 133–68. Key words: Qualia realism, phenomenal experience, dispositionalism about color, representative realism, sense-data theories, Brentano intentionality. Did Descartes Have a Jamesian Theory of the Emotions?, Philosophical Psychology 20 (2007), 413–40. Key words: Cognitive theories of emotion, Rene Descartes, embodiment, emotions, evolution, historical methodology, instinct, mechanistic theories of behavior, mind–brain relations, passions, William James. Kant on the Perception of Space (and Time). In Cambridge Companion to Kant and Modern Philosophy, ed. by Paul Guyer (Cambridge: Cambridge University Press, 2006), 61–93. Key words: Kant, Critique of Pure Reason, space, intuition, Wolff, Crusius. Introspective Evidence in Psychology. In Scientific Evidence: Philosophical Theories & Applications, ed. by Peter Achinstein (Baltimore: Johns Hopkine University Press, 2005), 259–86. Key words: introspection, psychology of perception, Wundt, Gestalt Psychology. Sense-Data and the Mind-Body Problem. In Perception and Reality: From Descartes to the Present, ed. by Ralph Schumacher (Berlin: Mentis Verlag, 2004), 305–31. Key words: sense-data, qualia, physicalism, philosophy of mind. Objectivity and Subjectivity Revisited: Color as a Psychobiological Property. In Colour Perception: Mind and the Physical World, ed. by Rainer Mausfeld and Dieter Heyer (Oxford: Oxford University Press, 2003), 187–202. Key words: color constancy, biological function of color vision. Representation and Constraints: The Inverse Problem and the Structure of Visual Space. Acta Psychologica 114 (2003), 355–378. Key words: visual geometry, phenomenology of vision. Psychology Old and New. In Cambridge History of Philosophy, 1870–1945, ed. by Thomas Baldwin (Cambridge: Cambridge University Press, 2003), 93–106. Key words: new psychology, psychology as a discipline, Spencer, Maudsley, Lewes, Brentano, Wundt, James. Behaviorism and Psychology. In Cambridge History of Philosophy, 1870–1945, ed. by Thomas Baldwin (Cambridge: Cambridge University Press, 2003), 640–648. Key words: behaviorism, neobehaviorism, Watson, Singer, Holt, Perry, Tolman, Hull, Skinner, American naturalism. Perception as Unconscious Inference. In Perception and the Physical World: Psychological and Philosophical Issues in Perception, ed. by Dieter Heyer and Rainer Mausfeld (New York: Wiley, 2002), 115–143. Key words: cognitive machinery, sophisticated content, phenomenal experience. Sense-Data and the Philosophy of Mind: Russell, James, and Mach. 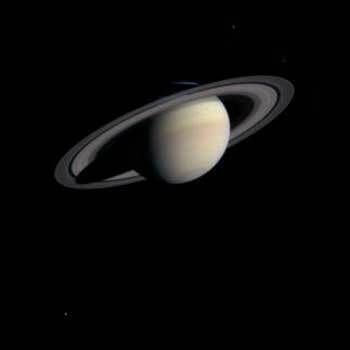 Principia 6 (2002), 203–30. Key words: sense-data, qualia, philosophy of mind. Psychology, Philosophy, and Cognitive Science: Reflections on the History and Philosophy of Experimental Psychology. Mind and Language 17 (2002), 207–232. Key words: logical empiricism, autonomy of psychology. The Brain's "New" Science: Psychology, Neurophysiology, and Constraint. Philosophy of Science 67 (2000), S388–403. Key words: eliminative materialism, reductionism, mind and brain. Attention in Early Scientific Psychology. In Visual Attention , ed. by R. D. Wright (New York: Oxford University Press, 1998), 3–25. Key words: attention, early experimental psychology, Aristotle, Lucretius, Augustine, Buridan, Wolff, Hamilton, Jevons, Wundt, James. The Cognitive Faculties. In Cambridge History of Seventeenth Century Philosophy , ed. by M. Ayers and D. Garber (Cambridge: Cambridge University Press, 1998), 953–1002. Key words: Aristotelian theories of cognition; skepticism; new science; Molyneux's problem; optics; Suarez, Coimbrans, Rubio, Sanchez, Charron, Descartes, Hobbes, Gassendi, Cudworth, Leibniz, Locke, Berkeley. The Workings of the Intellect: Mind and Psychology. In Logic and the Workings of the Mind: The Logic of Ideas and Faculty Psychology in Early Modern Philosophy , ed. by Patricia Easton. North American Kant Society Publications 5 (Atascadero, Calif.: Ridgeview Publishing Co., 1997), 21–45. Key words: cognitive faculties, faculty of intellect, mental vs. psychological, psychologism, early modern epistemololgy. Wundt and Psychology as Science: Disciplinary Transformations. Perspectives on Science 5 (1997), 349–382. Key words: Wundt, history of psychology, "new" psychology, founding of experimental psychology, psychology as a discipline, idea of a discipline. Was the Scientific Revolution Really a Revolution in Science? In Tradition, Transmission, Transformation, ed. by Jamil Ragep and Sally Ragep, Collection de travaux de l'Academie internationale d'histoire des sciences (Leiden: Brill, 1996), 489–525. Key words: new science, natural philosophy, physics as a discipline, historiography of the scientific revolution, history of early modern philosophy. 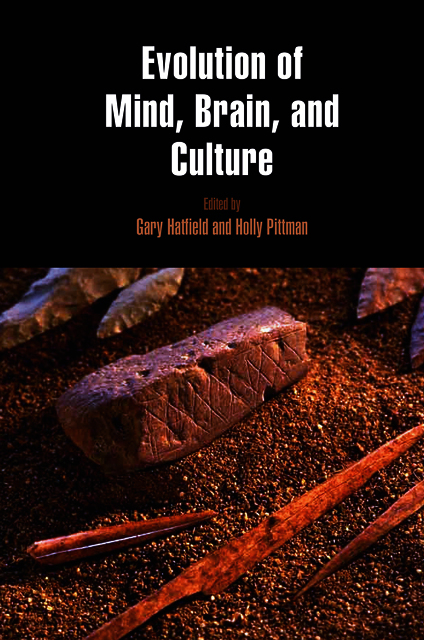 Remaking the Science of Mind: Psychology as a Natural Science. In Inventing Human Science, ed. by Christopher Fox, Roy Porter, and Robert Wokler (Berkeley: University of California Press, 1995), 184–231. Key words: Wolff, Bonnet, Godart, Krüger, Hartley, Priestley, history of psychology in the 17th and 18th centuries, history of experiment in psychology, psychology as a natural science, idea of a natural science. Philosophy of Psychology as Philosophy of Science. In PSA 1994 , ed. by David Hull, Mickey Forbes, and Richard Burian, 2 vols. (East Lansing, MI: Philosophy of Science Association, 1995), 2:19–23. The introduction to a symposium of same title. Empirical, Rational, and Transcendental Psychology: Psychology as Science and as Philosophy. In Cambridge Companion to Kant , ed. by Paul Guyer (Cambridge: Cambridge University Press, 1992), 200–27. Key words: Kant, Moses Mendelssohn, Christian Wolff, Christian Crusius, transcendental psychology, possibility of scientific psychology. Metaphysics and the New Science. In Reappraisals of the Scientific Revolution , ed. by David Lindberg and Robert Westman (Cambridge: Cambridge University Press, 1990), 93–166. Key words: Scientific Revolution, science and metaphysics, metaphysics as assumption (or presupposition), metaphysics as a practice, mathematization of nature, Copernicus, Kepler, Descartes, Galileo, Cassirer, Whitehead, Burtt, Strong, Koyre. The Senses and the Fleshless Eye: The Meditations as Cognitive Exercises. 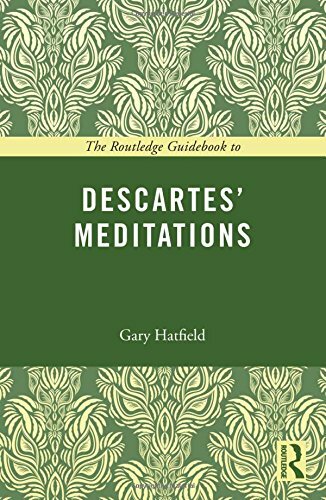 In Articles on Descartes' Meditations , ed. by Amelie Rorty (Berkeley: University of California Press, 1986), 45–79. Key words: Descartes and Augustine, Descartes and Aristotelian theories of the senses, Descartes on training the will. First Philosophy and Natural Philosophy in Descartes. 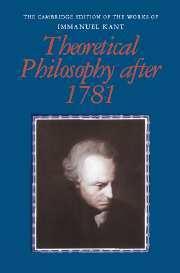 In Philosophy, Its History and Historiography , ed. by A. J. Holland (Dordrecht: Reidel, 1985), 149–164. The Status of the Minimum Principle in the Theoretical Analysis of Vision. Psychological Bulletin 97 (1985), 155–186, with William Epstein. Key words: perceptual economy, minimum tendency, parallel processing, connectionism. The Sensory Core and the Medieval Foundations of Early Modern Perceptual Theory. Isis 70 (1979), 363–384, with William Epstein. Key words: theories of vision, theories of perception, perceptual constancy, size, shape, and distance perception, visual pyramid, retinal image, Ibn al-Haytham (Alhazen), Pecham, Witelo, Descartes, Berkeley. Perceived Shape at a Slant as a Function of Processing Time and Processing Load. Journal of Experimental Psychology: Human Perception and Performance 3 (1977), 473–483, with William Epstein and Gerard Muise. Key words: shape constancy, slant perception, masking of 3-D stimuli, perceptual processing, allocation of attention. Papers On Line from IRCS. "lpr" the resulting file, specifying a printer if needed (e.g., lpr -Pcogsci 01-04.ps). Visual Perception Lab: Stephen Palmer. Galileo Project: information on Galileo and over 600 figures in the history of 16th and 17th century science. Newton Project: UK - Newton Project, Canada. A Beginner's Guide to Research in the History of Science. Pictures of Science: 700 Years of Scientific and Medical Illustration. THE PHILOLOGICAL MUSEUM: AN ANALYTIC BIBLIOGRAPHY OF ON-LINE NEO-LATIN TEXTS: DANA F. SUTTON, The University of California, Irvine. German learned scientific periodicals of the 18th century: Wuppertal. German periodicals of the 18th century: Bielefeld. Journal of the History of Philosophy web site. Periodical Historical atlas of Europe, 1-2000 C.E. Princeton Group for the History of Modern Philosophy. Anatomia 1522-1867: Anatomical Plates, Th. Fisher RB Library, U Toronto. Archaic medical terms: old medical terminology, including folk and slang terms and symbols and abbreviations. Images from the history of medicine: the image catalogue of the National Library of Medicine's historical prints and photographs collection. National Library of Medicine: History of Medicine. Pitt School of Medicine: Dissertations in Medical Humanities. PubMed history of medicine subset: journal citations which include information on the history of health professionals, sciences, institutions and diseases. Who named it? : searchable biographical dictionary of medical eponyms which aims to provide a complete survey of medical phenomena named after people, with accompanying biographies. World Health Organization Library Historical Collection. The Royal College of Physicians' Munk's Roll: biographical source. Last modified 12 Oct 2018.